Currently in Australia there are over 2,600 long term missing persons. At the three month mark State or Territory Missing Persons Unit will seek permission from the family to provide the National Missing Persons Coordination Centre (NMPCC) with the profile information (and a recent photo of the person missing) for inclusion on the Public Register. In addition to the Public Register, the NMPCC also works with corporate supporters, and looks for innovative ways to help profile missing persons cases across Australia. Please note: The cases listed on the Public Register do not represent every missing person in Australia that has been reported to police. Due to the different nature of missing person investigations some profiles may not be suitable for advertising. It's at the discretion of the State and Territory police, as to which cases are displayed on the Public Register. If you believe a missing person should be displayed, please contact the relevant State or Territory Missing Person Unit. In Australia, more than 38,000 missing persons reports are submitted to police each year. While most people are found within a short period of time, there remain approximately 2,600 long term missing persons; those who have been missing for more than three months. You can use the Public Register to search for long-term missing persons cases in Australia. 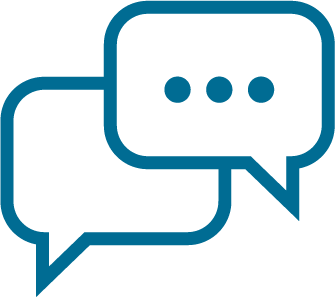 If you are searching for a specific missing person, or a person matching a specific description, please see our site search tips page. 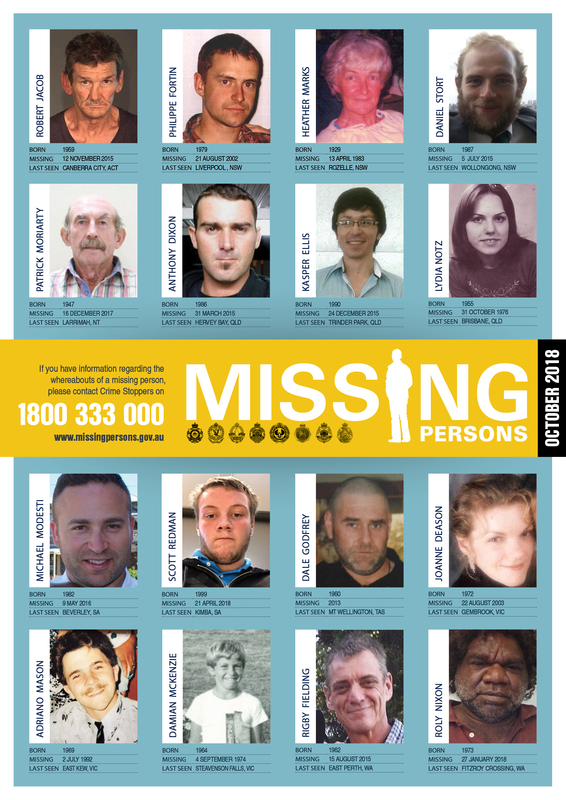 National missing persons posters are published in March and October each year. Posters are sent to State and Territory Police Services, search organisations, community services, and other organisations for public display. If you would like to display missing persons posters in your organisation, please contact us. If you believe you have seen a missing person, or have information that may lead to their location, please contact Crime Stoppers on 1800 333 000. We regularly update these posters as missing persons are located. The most current version of each poster is available by visiting this page. Only through the assistance of industry partners are we able to achieve the reach in advertising missing persons profiles. McDonald’s Australia is supporting the AFP to help raise awareness of missing persons in Australia. Each month, McDonald’s Australia generously donates advertising space on their digital ‘community noticeboard’ screens to profile long-term missing persons cases. Outdoor Media Association (OMA) supports the NMPCC by facilitating the national outdoor media campaign in support of National Missing Persons Week (NMPW). The OMA network generously donates up to $1 million annually for outdoor advertising placement to promote missing persons profiles. We are always looking for additional partnerships to further promote missing persons profiles and issues to the Australian community. If you would like to join our network please contact the team for more information.